Evidently, the Wieners decided against residing in the lovely apartment that was above their business and continued to live in their home. It was located two blocks west of downtown and was across the alley from the Charles and Virginia Cather family. They occasionally used their downtown space with its beautiful bay window for entertaining and also made it available to family friends for functions. 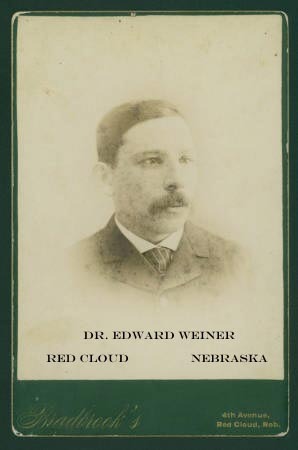 Fluent in both German and French, Mr. and Mrs. Wiener had befriended the Cathers’ daughter, Willa, and had made their extensive home library available to her. Mrs. Wiener took the time to read French novels to their young neighbor and would translate them while doing so. 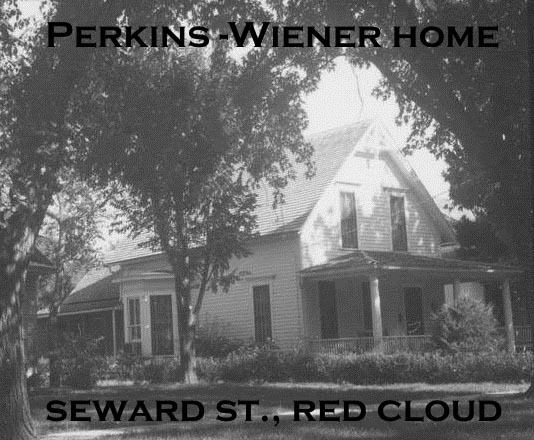 The Wieners proved to be popular residents and appear to have had many friends in Red Cloud. Charles was even elected mayor in the early 1890’s. It is unclear as to what extent the Wieners and other transplanted Jewish residents practiced their faith while here. Newspaper ads of the time confirm that Saturday appeared to be a normal day of business at The Golden Eagle and that Christmas promotional sales were a part of advertising campaigns. Charles’ brother, Ed, also resided in Red Cloud during much of this time and operated a newspaper/amenities stand at the post office. With the railroad making travel so accessible, a large number of Red Cloud residents chose to travel to various events around the country. One such event was the 1893 Chicago World’s Fair. 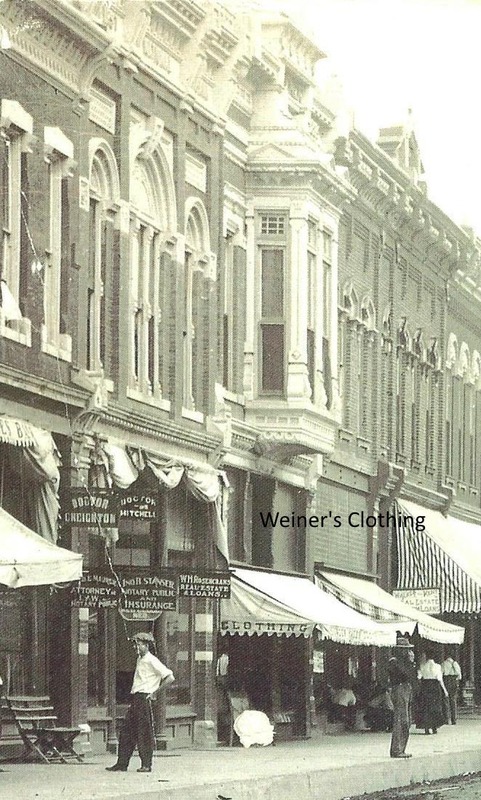 Among those who went at some point of its duration was Mrs. Wiener. While there she became ill, died, and following Jewish beliefs was buried within 24 hours. Charles continued to live in Red Cloud until 1897 when he sold his stock to Cowden-Kaley and his lovely building to Charles J. Platt. Later, the Wieners appear as prototypes for Mr. and Mrs. Rosen in Cather’s short story, Old Mrs. Harris.